From the day I started applying for physiotherapy courses, I knew I wanted to make an impact on the lives’ of people with learning disabilities. 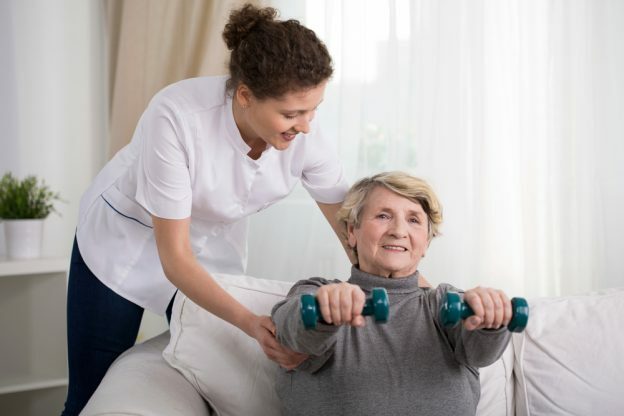 When the opportunity arose to write a blog of my choice, I was keen to choose one that included exercise integration and a patient population that really interests me. Over 80% of adults with learning disabilities do not meet the recommended physical activity level, compared to 53-64% of the general population (Emerson and Baines 2010). It’s recommended that we have 2 and a half hours of aerobic of exercise a week. Why should this be any different for people with learning disabilities? Women with learning disabilities and people with Down syndrome are at increased risk of obesity (Emerson and Baines 2010). For these people, obesity can act as a secondary disability (Marsden 2014). Health promotion plays a major role in physiotherapy practice. As a future physiotherapist, I consider exercise prescription and advice a very significant part of my role. This randomised control trial involved physiotherapy students acting as mentors to people with Down syndrome with ages varying between 14 and 22 years (Shields et al. 2013). It had 68 participants, taken from 98 assessed for eligibility, who were randomised by a web-based programme. There was no obvious baseline outcome measure differences between the groups. 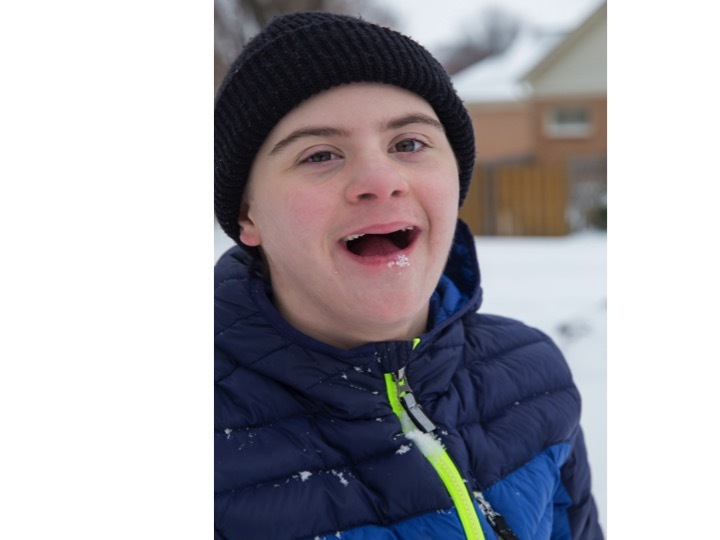 However, there were a greater number of people with a moderate as opposed a mild intellectual disability in the control group, which may have had an impact on the results. The intervention consisted of a twice a week, 10 week progressive resistance training programme at a gym. The physiotherapy student mentor and the trial participant both took part in the training. In contrast, participants in the control group took part in a 90 minute social programme once a week with a student mentor, which consisted of recreational activities. Outcome measures were assessed by a blinded assessor at the beginning of the trial, immediately post intervention (week 11) and 3 months post intervention (week 24). There were 2 outcome measures, one for work task performance, and one for muscle strength and physical activity levels. The work task performance tests involved weighted box stacking and weighted pail carrying. Muscle strength was measured using 1RM (a method for determining an individual’s maximum strength). Physical activity was measured with a RT3 activity monitor (which can measure the amount of energy expended during periods of activity and rest). The intervention group increased upper and lower limb muscle strength at week 11. The increase in lower limb strength was maintained at week 24. Physical activity levels were similar for both groups at each measurement except week 24, where the intervention group had increased levels by comparison. The authors speculated that this occurred due to the intervention group maintaining previous activity levels but the control group having a reduction in physical activity levels. There were no differences found between the groups for the work task performance measures, although there was a difference in the retest of box stacking activity in favour of the intervention group at week 11. This study was funded by a neutral party; the Australian National Health and Medical research council Project Grant, and so I believe there was no bias from industry-sponsorship. There is difficulty in blinding a study of this type as both the participants and mentors are aware of which group they’re in, and indeed, there was one dropout in the control group after it was revealed to the participants which groupings they were in. This is a limitation, however the trial was blinded in as far as possible (e.g. the outcome measure assessors were blinded as to which group the participants were in). Both the intervention and control group were treated similarly although it was unclear whether the mentors in the control group were physiotherapy students or students from another faculty. The overall average time spent with participants in both the control and intervention groups was similar. It was unclear if all student mentors were physiotherapy students in the control group. This trial was beneficial for both the mentors and the participants. This study may influence and encourage future similar programmes to be integrated into degree level courses. Another journal article, by two of the same authors, was published evaluating the physiotherapy students’ experience of the 10 week programme as mentors (Shields and Taylor 2013). Students from both the intervention and control groups felt their professional behaviours, skills and confidence were improved following the 10 week programme. They also reported being more likely to work with people with intellectual disabilities in the future (Shields and Taylor 2013). This change in attitude could lead to a greater opportunity for developments of evidence-based healthcare in the area of learning disability. The implications of this trial for physiotherapy practice reverts back to exercise prescription. Access to public health programmes for people with learning disabilities is limited (Marsden 2014). This is still the case despite multiple studies supporting the benefits of exercise for people with learning disabilities. When promoting exercise, often we focus on the health benefits gained from it. By encouraging exercise as a social activity, as opposed to pitching its health benefits to people with learning disabilities, they may be more likely to partake (Marsden 2014). I look forward to reading future journal articles exploring how we as physiotherapists can make exercise more inclusive to every niche population sub-group within our society.